Dimensions 1.75 by 7.25 by 10.50 in. 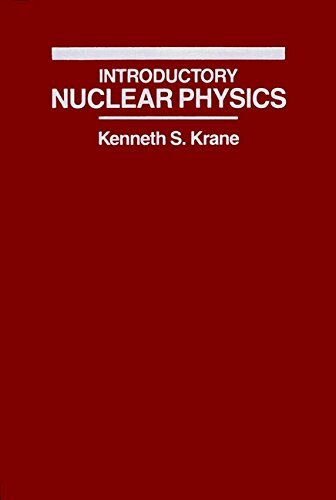 Amazon.com description: Product Description: This comprehensive text provides an introduction to basic nuclear physics, including nuclear decays and reactions and nuclear structure, while covering the essential areas of basic research and practical applications. Its emphasis on phenomonology and the results of real experiments distinguish this from all other texts available. Discussions of theory are reinforced with examples which illustrate and apply the theoretical formulism, thus aiding students in their reading and analysis of current literature. The text is designed to provide a core of material for students with minimal background in mathematics or quantum theory and offers more sophisticated material in separate sections. About: This comprehensive text provides an introduction to basic nuclear physics, including nuclear decays and reactions and nuclear structure, while covering the essential areas of basic research and practical applications.